scholars in the field directly acknowledges and addresses the demands of leading increasingly diverse and complex school communities. Topics include: the social and cultural dynamics of leadership, reflective practice, politics of equity and adequacy, critical servant leadership, and the possibilities of transformative leadership within these dynamic educational contexts. 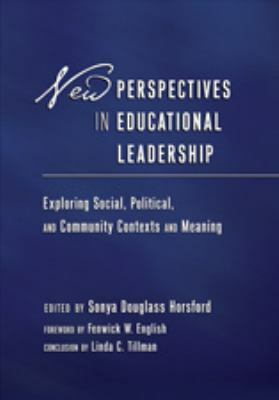 As a primary or supplementary text in educational administration, leadership, and foundations courses, New Perspectives in Educational Leadership provides a much-needed complement to the traditional topics of instructional leadership and education management given the expanding and increasingly complex conditions that face educational administrators and school leaders today. Leading Schools in an Era of Change: Toward a New ï¿½Cultureï¿½ of Accountability?